Next Dances to a Different Drum 2018 is on June 23! 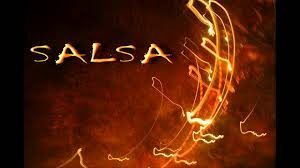 One of the most user friendly of the couple dance styles, Salsa is fun and great exercise. Our Mini Session format is designed to get you on the dance floor with minimal scheduling problems.And just so you know, were comfortable clothes and smooth bottomed shoes to class. Pre-registration is required. Register online at: www.jannasdance.com with the easy pay online button in the upper right corner of the home page. Minimum numbers required for class to be held. For ages 13 and up. No unpaid observers.